Katey: Even though I've been watching the publicity machine move forward for years now and have visited Flynn's Arcade at Comic Con twice, I had no clue what the original Tron was actually about, to the point that I got frustrated comments on my Comic Con panel coverage explaining that Tron is the name of a character, not the weird glowy computer world the movie takes place in. I was born a little too late to see the film the first time around and was never much for sci-fi as a kid; I can't imagine anything that would have appealed to my 10-year-old self less than the idea of a movie taking place a dark, amorphous computerized world, where all the people wear white suits and there are creepy old men around every corner to terrorize them. But with Tron: Legacy finally hitting theaters December 17 I knew it was time to get on board with the original Tron, and luckily I had a guide to help me through. Just as he acted as my nerd sherpa for all six of the original Star Trek films, CB Head Honcho Josh Tyler was precisely the Tron nerd to answer my questions and swear up and down that Dumont really is a crucial character in the movie. Clutching his original edition Tron lunchbox and threatening to take me to a real old-school arcade when we were finished, Josh arrived to sit on my couch and explain to me the wonders of Tron-- or at least spend half an hour afterwards excusing away all its faults. Josh: And after that, we're going outside to throw blue Frisbees at each other! Here's your complimentary blue bike helmet. I'm not pushing play until you put it on. Don't worry, this will all make sense soon enough, provided you tighten those chin straps. The plot actually feels fairly familiar, at least by modern standards. 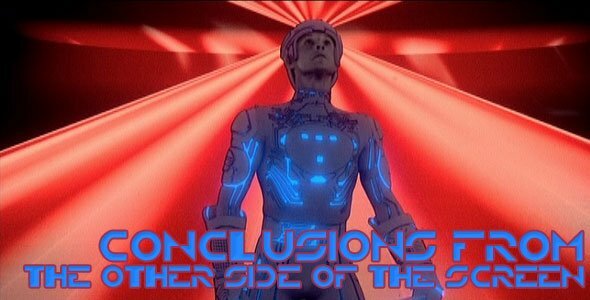 This sort of story wasn't as commonly used back in the early 80s, one of many ways Tron blazed a trail, but modern movies like The Matrix and even Avatar have used similar stories and simply wrapped them in a different mantle. Even though it's built on a lot of extremely outdated technological jargon and driven by the early 80s fear of a developing computer technology which most people didn't understand, it's basically the classic stranger in a strange land meets journey to Mordor scenario. Kevin Flynn is sucked into a completely strange world and uses a set of unique abilities which come to him as a result, to help a group of freedom fighters overthrow an oppressive regime. It works, it will always work, and we'll never get tired of it… especially when it's layered into a world as fully and uniquely imagined as this one. Still if there's a real weak spot in Tron it's probably the story, which can be a little slow at times. It takes half an hour before they're even in the computer. I don't mind, because that half hour is spent with the infinitely watchable Jeff Bridges, but others might. And of course there are a couple of dead-ends. There's a scene towards the latter half of the film where they show us a group of gridbugs, for absolutely no reason at all. I have this weird memory of them, back when I watched the movie at a drive-in theater as a kid, of the gridbugs actually somehow attacking Tron and Flynn, but that's probably just the imaginings of a little kid whose brain took the leap to where that moment should have gone, instead of where it actually went. 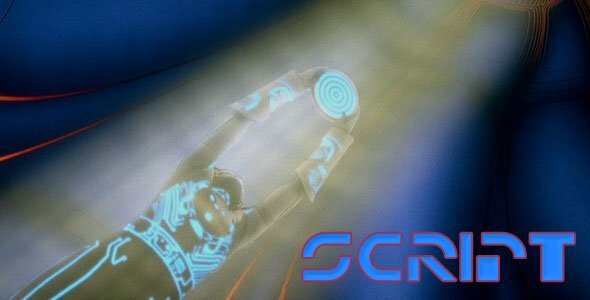 The reality is that, like many of the ideas put forward in the movie, they probably wanted to do more with the gridbugs but didn't have the technology to make it happen. The plot is limited in a lot of ways by technology, they were developing everything they did here right from scratch, but it means there are places where director Steven Lisberger can't show us everything he might want to. Yet in spite of all the limitations, I think the movie works because they've started with such a basic premise and added complexity around it. You don't have to be a total nerd, to at least get the gist of where Kevin Flynn's story is headed. Yeah, the simplicity of the story works, because you've got to have something to grasp onto when you're thrust into a world this weird. But I imagine it worked a lot better back when the visual effects seemed impressive, and the audience needed an easy story so that they could spend their time processing the amazing visuals. At a certain point you get the gist of what Tron and Flynn are trying to accomplish, and from there you're just marking time until they make it to Mordor-- er, I mean, Master Control. If it weren't for Bridges' performance-- more on that later-- there'd be pretty much no reason not to just watch this with the sound turned off. 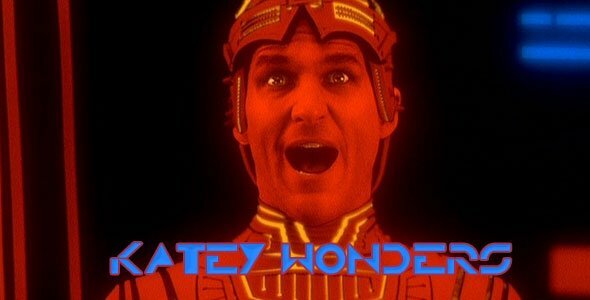 I don't think it's an overstatement to say Tron would be unwatchable without Jeff Bridges. The guy who defines effortless cool is one of the few recognizably human things in the entire movie (yes, that includes the segments that take place outside the computer), and seems to react to all the hokey stuff that happens in the movie the way we would-- amused and detached at first, then eventually getting down to the heroics. Bruce Boxleitner as Tron/Alan and Cindy Morgan as Lora/Yori make for good sidekicks, but they've got the same unblinking earnestness that makes the movie feel so dated at this point. There's also a major problem early on the film, when Flynn and Tron escape alongside Ram; in their white suits with the goofy helmets, they're completely impossible to tell apart. When your group of good guys includes Jeff Bridges but you can't pick him out of the lineup, you haven't done enough to make actual characters out of your heroes. It's a given that Jeff Bridges is brilliant, and he's also one of the few people that really understood what the movie was about while they were making it. Bruce Boxleitner, who had mostly been doing westerns up till then, claims that when he read the script he had no idea what it was about, but that when he heard Jeff Bridges was doing it he signed up because Jeff seemed to know what he was doing. Let's not forget too that Bridges is really playing two roles here. I love him as Clu in the early parts of the film, his wide-eyed expression as he's crashing and being captured by the MCP's minions is priceless. Most of the acting in this movie is absolutely first rate, right down to the minor characters. I really like Dan Shor's Ram as the junior partner in Tron and Flynn's take down the MCP squad, and let's not forget the great Peter Jurasik as Crom, a doomed compound interest program way out of his depth. And Barnard Hughes is fantastic too, as the crotchety old software engineer who started the company only to be eventually cast aside. I like him a little less in the computer world as Dumont, still, even there he pulls off the wise, elderly mentor role well. I even love Bit, a really clever little piece of computer geek knowledge turned into a sidekick who does more with yes or no than most people do with an entire dictionary. So yeah, Tron and Yori are kind of earnest stiffs, but I think that works because of Bridges and because so many of the other minor characters around them are infinitely entertaining. It's especially great you consider what these performers were going through to pull it all off. They spent months literally stumbling around on an all black set, looking at absolutely nothing, and with no way at all to know how any of this was going to turn out. At least in modern films actors are used to blue screen and digital technology, so they have some idea of how everything will fit together in the end. 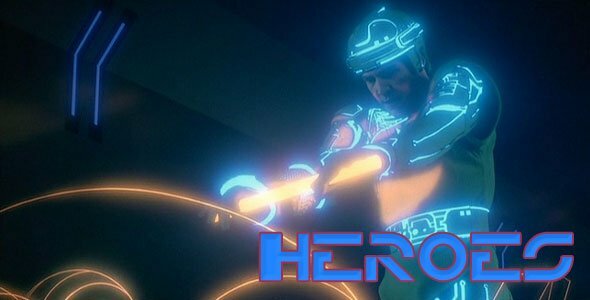 But Tron predates bluescreen and was the first movie to extensively use computer generated effects. Maybe Steven Lisberger knew what he was doing it, but it seems impossible that any of the actors on his set could have had any clue at all about what was going on. Yet he still gets better performances out of them than George Lucas got out of just about anyone in his stiff, blue-screened Star Wars prequels. Here's a bit of Tron trivia for you Katey: Did you spot Ram's user in the real world? No, because I could barely figure out what Ram looked like inside the computer. Is his user actually interesting, unlike the program version? Ram's user likes popcorn. Other random Tron trivia: Bruce Boxleitner, who plays Tron, and Peter Jurasik, who plays Crom, would later go on to co-star in the ground-breaking television series Babylon 5. 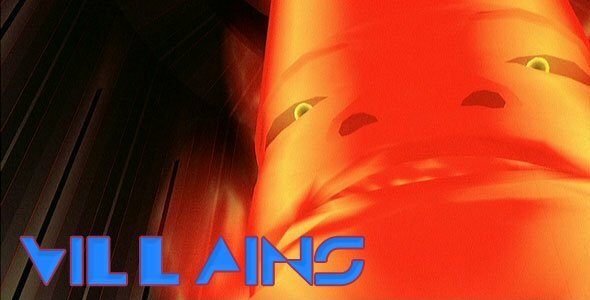 In much the same way Tron blazed a trail for CGI in movies, Babylon 5 was the first weekly television series to make regular use of fully computer generated environments. Babylon 5 marathon next week? I spent the latter half of 1982 wandering around the house finishing my sentences with “End of Line”, so you can probably figure out where I stand on this issue, Katey. I love the notion of the Master Control Program as this ominous, looming, all powerful figure. Granted, the dynamic between the MCP and his chief minion Sark probably owes a lot to the Empire Strikes Back. Those sequences in which Sark gets his marching orders are awfully similar to some of the ones had by Darth Vader and the Emperor in Empire. But the MCP is downright scary, even now. Just imagine how much more frightening he must have been back in 1982, when people didn't understand computers at all, and when the notion of them taking over the world and eliminating humans seemed pretty plausible and real. I especially love their decision to give the MCP a presence in the real world. That ominous, monolithic black table which speaks in clipped sentences and flaunts its superiority to humanity is a prefect introduction to the character. Who'd have thought that decades later, the MCP would eventually have a cameo role as Moses on South Park. Sark is less successful. David Warner is a great actor and he tries, really tries both as Ed Dillinger in the real world and as Sark in the computer world. Yet to me he's never as intimidating playing those physical characters, as he is as the voice of the looming, mysterious MCP. Mostly he looks uncomfortable in his costume. End of Line. You're totally right about the giant black table thing being cool-- it's kind of great to see an evil computer on screen who doesn't just feel like a ripoff of HAL from 2001: A Space Odyssey, and plus, that black table is just really cool. You can totally see why Dillinger built it for himself and put a lot of power into it-- it's like the world's coolest iPad, and 10 times as intimidating. MCP isn't as cool in the computer to me-- that big red face just reminds me of the Wizard of Oz, and makes me wonder about the simpering man behind the curtain-- but he definitely works better than Sark, who doesn't just seem like an ineffectual yes-man but has one of the most ridiculous costumes in the whole thing (and given what Dumont has on as the Tower Guard, that's really saying something). What's up with that cowl thing around his neck? He looks as uncomfortable in there as a cat wearing a sweater. Overall I'm more entertained by the bad guys than the heroes in this movie, I think because the basics of it are so familiar-- in the real world it's greedy corporate goons, in the computer world it's faceless and brutal armies. Like the story, it's all pretty schematic and a tale as old as time, but jazzed up with all the oddities of the Tron world it feels far more new. 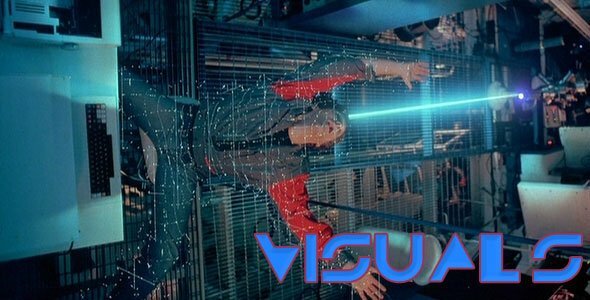 Even today, when the computer effects of Tron seem ridiculously primitive, the visuals are what the movie is all about. It's impossible for me to put myself in the shoes of the people who saw the film in1982 and were dazzled by how advanced it looked, but I do appreciate how specific, unique and utterly weird all the visuals are, from the odd cowl costume that Sark wears to the angular, geometric design of the various ships they use to race toward Master Control. I especially love what we see when Flynn gets sucked into the computer, the panorama of the entire computer world and all those weird kaleidoscope effects, like Vertigo's dream sequences run through binary code. The effects in combining the human actors with the animation look especially rough-- all those flickering, black-and-white faces and the hand-drawn coloring on the costumes makes you kind of nauseous after a while-- but it's remarkable how well the computer animation, no matter how crude, establishes its own particular vibe and runs with it. If only because Tron was a completely unique technological effort at the time, there's nothing else that looks quite like it. I never know how newbies will react to this movie on a visual level so I'm glad you got it. Yet you're still selling them a bit short here. The thing is, the coloring on the costumes wasn't hand-drawn. It's a much more complicated process than that, involving rotoscopic techniques requiring tons of effort. Actually hand drawn cell animation, like the kind you're talking about, is a much easier way to create a glow effect like that. Unfortunately it wouldn't look as good. If you've ever seen cell animation used on older movies to create special effects, especially light effects, you know that it always looks like animation and never really looks like light. This process gives that glow a much more technological feel than you can get with cell animation, even if it's far more difficult. Sure it's rough at times, but it actually looks like glowing light, and that's a pretty huge achievement on its own. It looked even better on the big screen, or at least it does in my 6-year-old memory of it, watching from the back of a pick-up truck at a drive-in. You pointed out earlier how difficult it was to distinguish the characters from each other in their costumes, and that's probably a valid criticism. It's also probably the reason Tron: Legacy has ditched the helmets entirely. 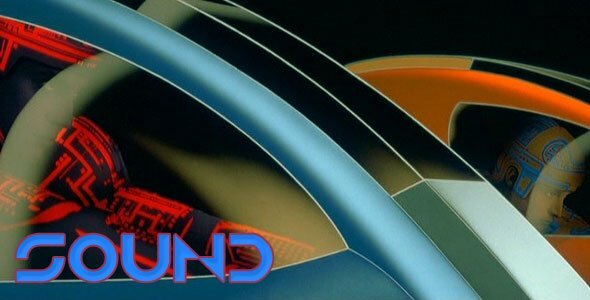 Consider that before Tron, the most CGI had ever been used for in movies was to create the occasional title sequence (as in The Black Hole) or to create a brief 2D, pixilated rendering (as in West World). No one had ever even considered using it to create anything substantive, let alone entire, 3D environments. But Tron took the leap, paving the way for a technology now used on almost every single movie you've seen lately in theaters. Tron was one of the most innovative movies of all time, yet the Academy Awards refused it a nomination because they thought the film cheated by using computer generated graphics. Beyond the technology though, you're dead on about the way the film manages to create its own, unique vibe. Yes, you're also right most of it's pretty rough. I saw you grimacing during the blurry recognizer flying sequence. Still there'd really never been anything else like it. For all its digital wizardry, one of the big criticisms leveled at James Cameron's Avatar is that it borrows a lot of ideas, even visually from other sources. Avatar has battle mechs and dragons and flying fan boats, all stuff that's been used extensively elsewhere in science fiction. But lightcycles? Recognizers? Battles fought entirely using light-powered identity discs? Utterly unique ideas. Tron didn't just come up with a new way to do special effects, it came up with new things to use those new kinds of special effects on. There'd never been anything even remotely similar anywhere before and even now, decades later, lightcyles remain some of the coolest vehicles on screen ever. Admit it Katey, you want to ride off into the computer sunset with Jeff Bridges on a cycle made of light. I think I was spoiled for the lightcycles in advance by Tron: Legacy, which I had been watching at Comic Con for two years in a row. Yes, the idea of the lightcycles leaving behind trails of impenetrable light is totally cool-- and like you said, a unique idea-- but it feels kind of empty when you can't actually see the people on it. See, there's me being ruined by 2010 standards! I'm disappointing you in exactly the way you expected. During one of the sequences in Sark's control room, Tron literally resorts to using Pac Man sound effects. In fact if you look at the map behind Sark in some of the control room scenes, you'll actually see Pac Man running around on his map, a silly geeky nod to the most popular video game of the time. I'm happy to report that most of the rest of the sound effects in the film aren't that silly. Some are more successful than others, but when you consider they were coming up with sounds for things that don't exist, I think it works. One of my favorite sound effects is Bit, Clu's little flying sidekick. His voice is entirely artificial, created by a speech synthesizer. Truthfully though, the film's production was probably more concerned with using electronic means to create the movie's audio mood than they were with actually creating sounds that might be enjoyable to the audience. A lot of it was utterly pioneering stuff, but it doesn't always stand the test of time. Still, the score has a pretty great hook, in fact I'm sitting here humming it right now. The soundtrack was created by electronic musician Wendy Carlos, who did the music to films like A Clockwork Orange and The Shining. You'd think she'd have enough street cred that Daft Punk would want to work her Tron theme into their Tron: Legacy soundtrack somewhere, but her vibe seems entirely absent from the sounds of the upcoming sequel. You're right about the sound effects doing a great job of representing things that don't exist, but it's much harder to separate the audio effects from what I know about sound in a digital age-- I can appreciate the visuals for what they were, but things need to sound right, dammit! I was kind of impressed by the score, though, if only because it went in so many different directions. One minute you've got the kind of super electronic stuff that you imagine Daft Punk really loves, and then you've got classic movie score building up to the big triumphant moment. It's a total mishmash but it works somehow, maybe because it's kind of reflecting the balance in the movie of human beings (Jeff Bridges, mostly, but also Bruce Boxleitner somehow) and all the futuristic technical stuff. The Pac-Man reference-- though I didn't notice it the first time around-- does totally rule. It's like what Scott Pilgrim vs. The World was doing, 28 years in advance! Katey Wonders: Why in God's name is this movie called Tron? Josh Answers: Because it's about a computer program called Tron defeating the spinning, floaty head of the Master Control Program. What else would you call it? Kevin Flynn's Excellent Adventure? Tron is better. Katey Wonders: Correct me if I'm wrong, but none of the old arcade games we played in the 80s were ever connected to the Internet. So why does Tron accept it as fact that all the games in Flynn's Arcade would be linked up to the main computer system? That seems like a huge leap, especially for an audience that didn't understand the Internet at all. Josh Answers: Bear in mind that the internet did exist, sort of. Some computers were connected to each other, in a very primitive way, but connected nonetheless. Hacking was a reality. In 1983 there was even a TV series about it, called Whiz Kids, in which a group of teenagers with hacker skills broke into other computers for the greater good. So it wasn't an entirely foreign concept to the general masses, but even if they knew it was possible, they also didn't really understand how any of it worked. So while you're right, arcade games wouldn't have been connected to any sort of internet or to the MCP for that matter, people back then didn't really understand the technology enough to know that wasn't possible. For all they knew that, and pretty much everything else in this movie, was entirely plausible. Katey Wonders: What is that pool of watery stuff they're all so excited to drink from? Obviously it's like humans needing water, but is there supposed to be some equivalent for programs there? Josh Answers: It's energy! Power! Electricity! Even a computer program has to fuel up. Katey Wonders: So, are we to assume that the entire world we're operating in is the system of linked computers and programs only within ENCOM? And that some other giant tech company has their own world somewhere else that we never see? Or is this supposed to be the Internet as a whole? Josh Answers: This would be the entire world of connected computers as a whole. Remember the MCP talks about breaking into other computer systems, like the Pentagon? So while it may have started as an internal world, the MCP has started breaking into other computer systems and taking them over. The Master Control Program is gradually connecting to and taking over everything, everywhere. In Terminator terms he's kind of like a baby Skynet. Katey Wonders: Why does Master Control have to send Flynn to games in order to get rid of him? Can't they just de-rez him the way they did to Clu in the beginning? Josh Answers: First, let's clear up what happened to Clu. The MCP doesn't actually derez Clu. Remember early in the film we're told by Ram that the MCP absorbs the programs he thinks might be useful to him, and then send the others to die in the games. Clu possesses vital information that the MCP wants, so what you see is Clu being forcibly absorbed into the MCP itself. That's why later in the film, the Master Control Program suddenly has so many tanks and Kevin Flynn talks about how much he regrets creating them. He got the tanks by absorbing Clu. On the other hand to derez something means to delete it or erase it, utterly. That's what happens to Ram, when he dies next to Flynn in the recognizer, and that's what happens to Crom, while fighting Flynn in the games. So why doesn't the MCP derez everyone? Simple, he likes to watch them suffer. Katey Wonders: What's up with the color coding on the good guys vs. bad guys? Sometimes the heroes are blue, but Clu was in yellow, and the lightcycles that Ram, Tron and Flynn drive off the game grid are vaguely reddish shades. Could they just not decide on a color scheme? Josh Answers: The red color is sort of like a uniform the MCP uses for its minions. Clu wasn't yellow (he only turns yellowish later when he's beaten and weakening), he's red too, but that could have been because Flynn used him to infiltrate the MCP and wanted to disguise him (as he did to himself later in the film). The lightcycles they drive off the grid are actually supposed to be different shades of gold. Ram, Flynn, and Tron are all designated as Gold Team on the lightcycle game grid. Katey Wonders: Why is Dumont this sphinx-like figure in the computer world, but totally dis-empowered in real life? Josh Answers: Walter Gibbs was one of the original creators of the computer system. He started Encom and was one of the original programmers behind it all. Now he's past his prime and being pushed out by young, hungry, corporate executives. Dumont, an old computer program created by Walter, was also a once powerful figure in the computer world, but he's fallen on hard times too. When Tron and Yori encounter him, he talks about how no one uses his abilities anymore and it's not long before, in much the same way Walter was fired and kicked out of Encom, the MCP's minions come for him and haul him off. Both were once powerful, and both have become outdated and dis-empowered. Katey Wonders:What is up with Flynn kissing Yori at the end there? He knows she's Tron's girl! Josh Answers: Flynn used to date Lora, the real world version of Yori. Now Lora's dating Alan, and since he was about to die, I guess Flynn thought he might as well get the next best thing to Lora. Tron wasn't around, and Lora wanted to give him a proper sendoff, before he sacrificed his life for her. Besides, Jeff Bridges was on Yori's celebrity exemption list. For all the kitschy pleasure to be had in the visuals and what Bridges brings to it, it's hard to recommend Tron. The filmmakers relied so hard on the images dazzling the audience that they didn't bother to come up with a good plot to surround it, and once you get the sense of the big hero's journey to Master Control, it feels like a retread of The Lord of the Rings but without any interesting characters. I can also totally see why Disney is trying to hide this thing before Tron: Legacy came out--if you saw this and knew there was a sequel but didn't know anything about its visual style, there's no way you'd shell out $13 to see it. I get why people are nostalgic for Tron, but come on guys, it came out the same year as E.T. and The Wrath of Khan. There are better choices for reliving your childhood. Tron is one of my favorite movies and it's largely responsible for my interest in film in general. I love it. When I saw it at age 6, it literally changed my life. It made me who I am. But you're right, it is really hard to recommend it to others. It's just too dated. The movie held up well, until Pixar showed up and took the next big CGI step forward. Ever since then, Tron has become pretty inaccessible to new viewers. Maybe that's part of why I'm so excited about Tron: Legacy because, without it, Tron's cultural significance would have died out with my generation. There's just no way to introduce someone new to it and, if you haven't seen it by now, you're probably better off skipping Tron and jumping straight to Tron: Legacy. But if you're over 30, head to my house next weekend. We'll be staging a loose re-enactment in my living room. By loose re-enactment I mean we'll be throwing Frisbees at each other. Luckily by then I'll have Katey well trained in the art of disc battling and we'll be ready to take on all comers. Tighten the straps on your bike helmet Katey. The trick is never to let my Frisbee derez you in the face… video warrior. What do you think of Tron?